As a building owner or a maintenance projects manager looking for a roofing company, it’s your job to choose a contractor that will give you the best bang for your buck without compromising on quality. But how can you tell what you’re getting? When the project is finally completed, you don’t want to discover that your contractor skimped on manpower or materials in order to submit the lowest bid. At Alpine Roofing, we provide quality commercial roofing solutions in Toronto. Below are our recommendations for choosing a commercial roofing company and what to consider before making your decision. Talk to business owners elsewhere in the city about the roofing companies they’ve used. Ask about pricing, quality and guarantees. Did the contractor finish the work on time? Was it done properly? Does it look good? If you’re looking for roofing in North York, consider asking businesses that have similar roofing needs to your own. This will ensure you have an accurate comparison of cost and quality when evaluating your options. Don’t forget to ask contractors about any obstacles they may encounter during the roof repairs or replacement and how they would be handled. Is it possible you will be charged extra fees or are there any risks you should be aware of as a business owner? Be sure to understand why there are variances in prices between contractors. You can request a free estimate from Alpine Roofing on our website or by calling us at 416-469-1939. A company’s stamp of quality is its willingness to stand behind its work. Ask detailed questions: what’s included in the guarantee? What isn’t covered? As a business owner, if you don’t have proof of regular roof maintenance will the guarantee be void? A handshake isn’t enough for a commercial agreement. Formalize the details, including deadlines, payment schedule and guarantee in a written document. By having the contract in writing, both parties can support their case should anything go wrong in the process. Don’t get suckered in by the lowest bid. Some commercial roofing contractors can afford to underbid because they skimp on quality materials, workmanship and guarantees. Alpine Roofing offers you all three, and our satisfied customers will attest to it. Sometimes quality means higher pricing, so be sure to understand the variance in price before choosing a contractor. Why Should You Choose Alpine Roofing? 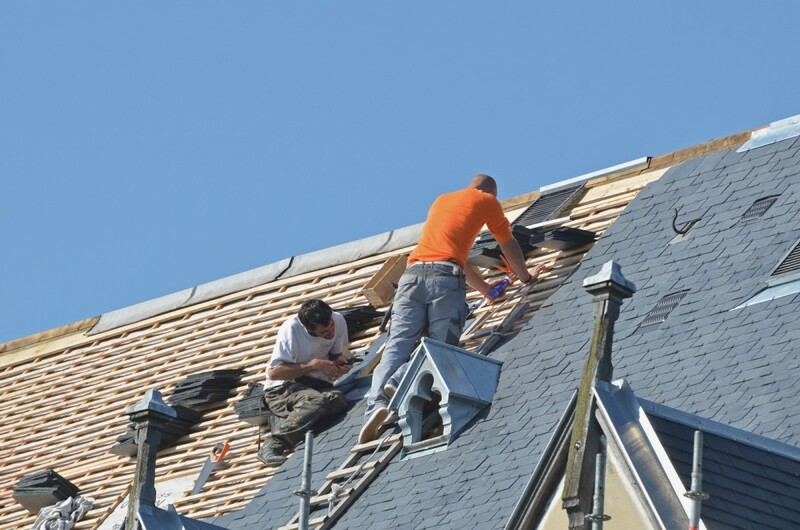 If you’re looking for roofers in Etobicoke, North York, or in the Greater Toronto area, look no further. Contact us today to book a no-obligation, free estimate for your commercial roofing repairs or replacement. We’ll protect your building against damages that occur over time from weather and wear.